Love floral print but aren't sure how to incorporate the feminine design into your wedding details? Whether you want a full-fledged floral-print wedding, or you desire some smaller elements that honor your favorite motif, we've pulled together some of our favorite images from wedding events that beautifully featured flower print. Not sure if your groom will like it? Take a look at the photos below as a couple and decide which elements you love -- and those details that you can let go. 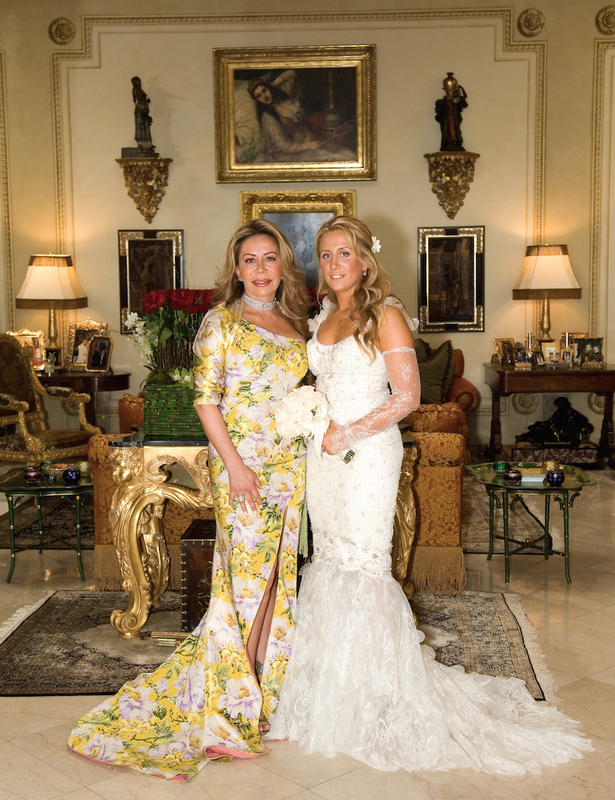 Inside Weddings' print magazine and all-new website is a premier wedding resource for the stylish and sophisticated bride and groom. 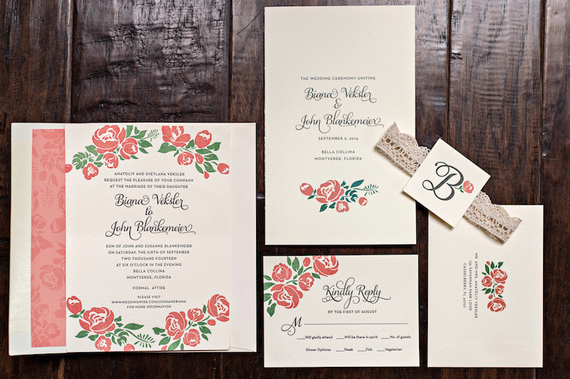 Wedding invitations offer the first taste of your wedding to guests. 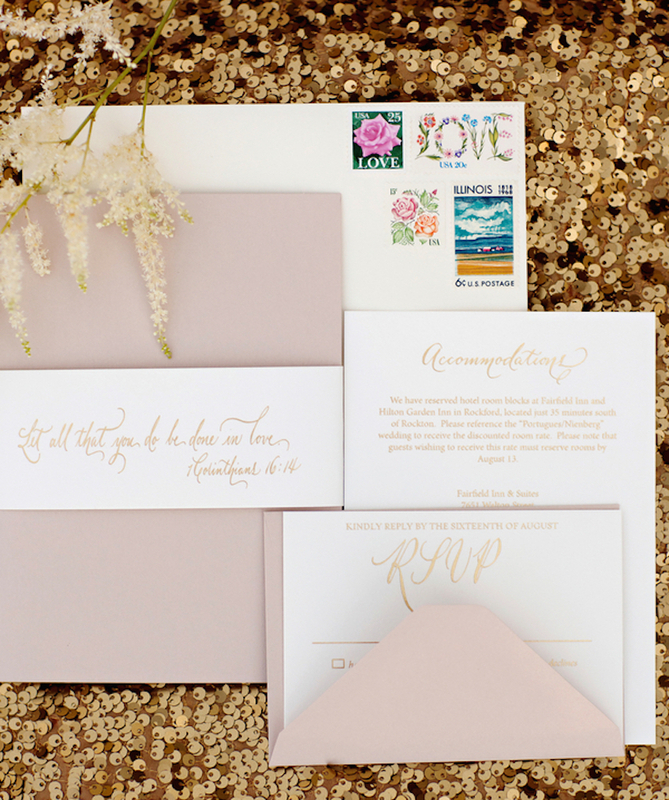 Add a floral motif to the invites themselves, or incorporate a floral print in vintage-inspired stamps for a unique detail that your attendees will love, regardless of your actual décor theme. 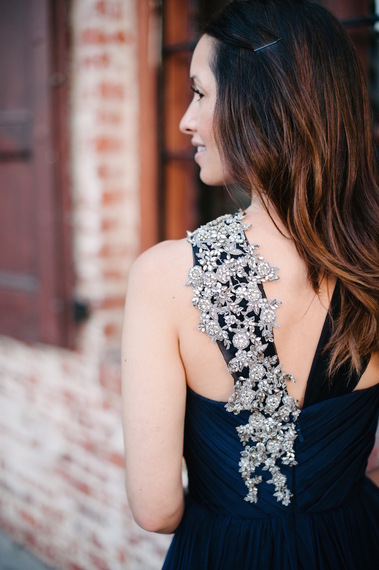 Your bridal gown doesn't have to be white. 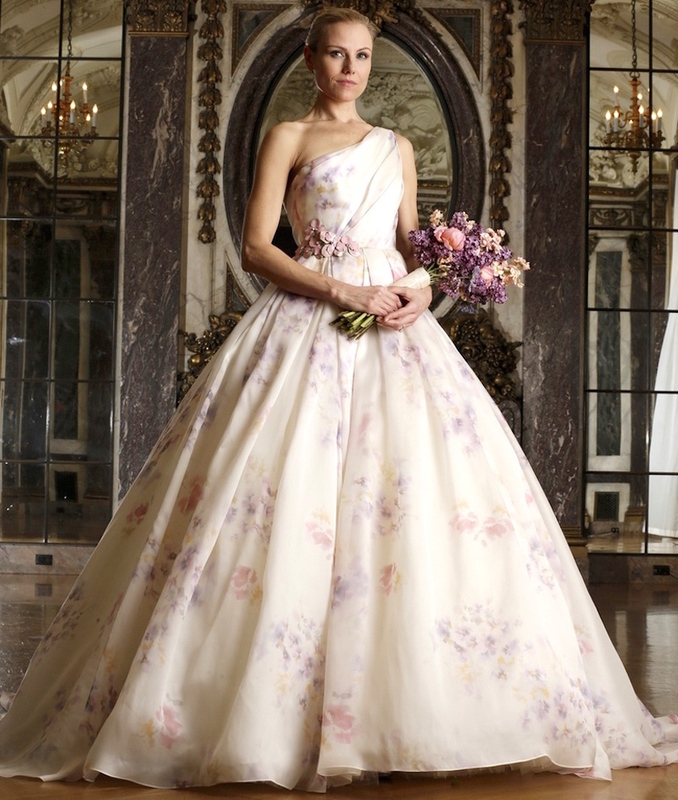 More and more brides are adopting a fashion-foward approach with colored wedding dresses (including pink, black, red, or black-and-white bridal gowns) and even ball gowns and sheaths in floral prints. Whether you choose a chapel-length veil, cathedral, or mantilla, consider adding floral embroidery or beading for a sweet feminine touch. 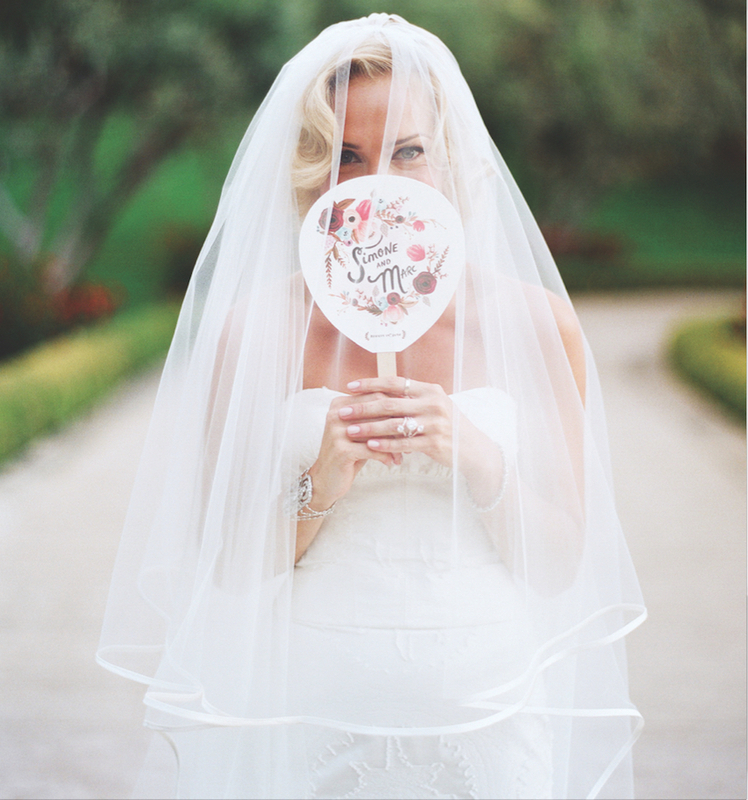 While lace-trimmed veils are popular among many of today's brides, this beautiful detail will stand the test of time. 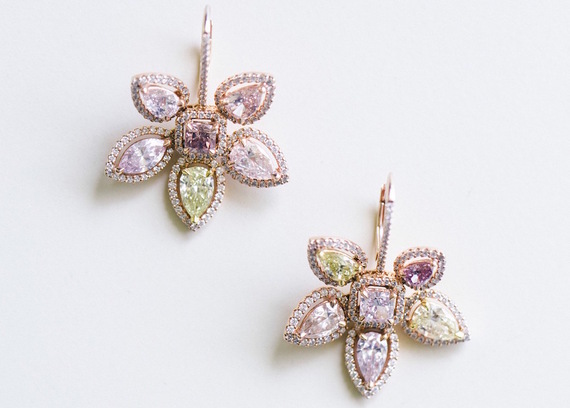 If you want a small part of your wedding to honor your favorite florals, choose a pair of earrings (or a bracelet or necklace) designed to resemble flowers with colored gemstones! 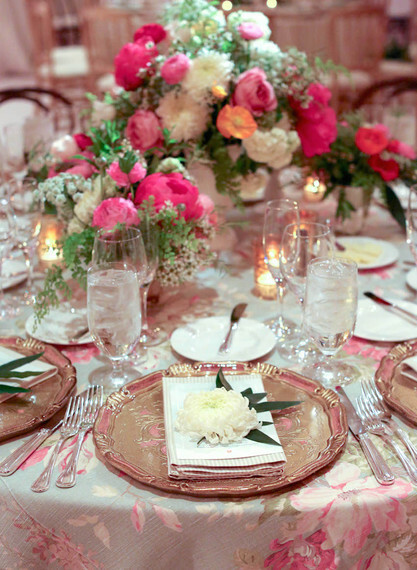 This is a wonderful option if your groom says "absolutely not" to a floral-print theme. 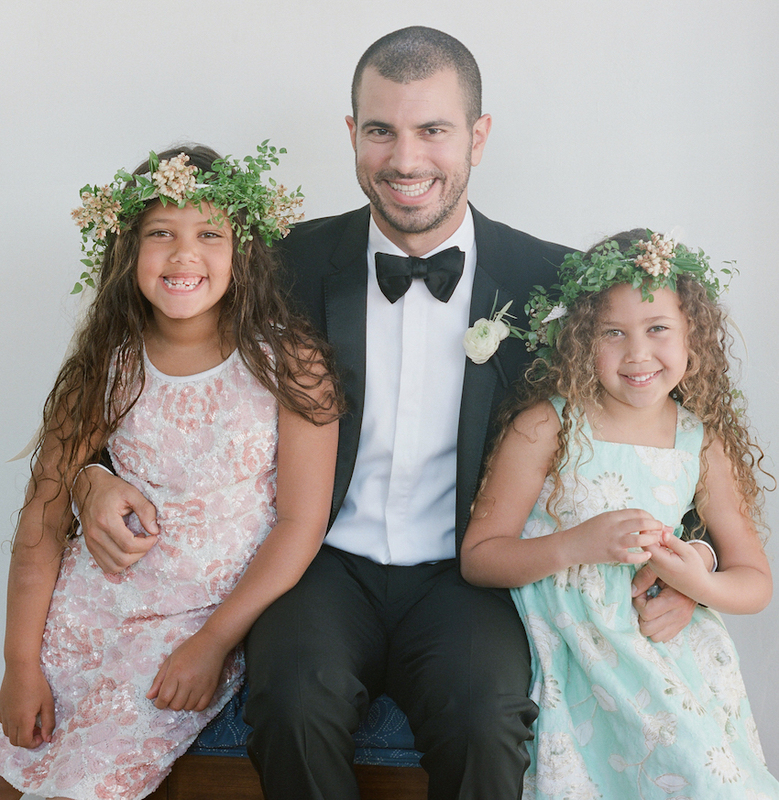 Take the term "flower girl" to an entirely new level and outfit your flower girls in beautiful dresses with floral-print fabric. For a more laid-back look, choose two mismatched dresses in various flower prints that complement each other. 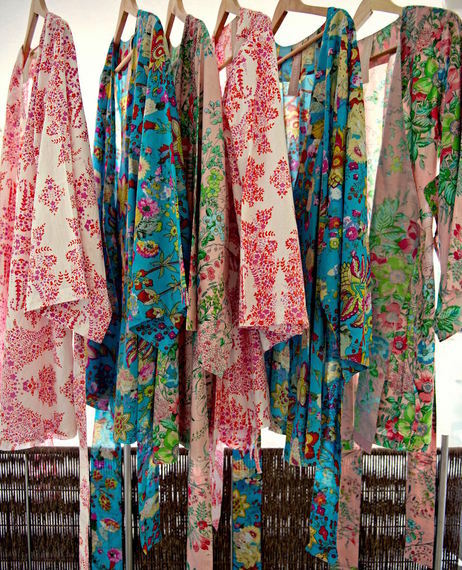 Gift your bridesmaids with colorful robes in floral prints to wear while getting ready for the big day in your bridal suite. Not only do silk robes look great in pre-wedding photographs, they'll be cherished by your 'maids years to come! 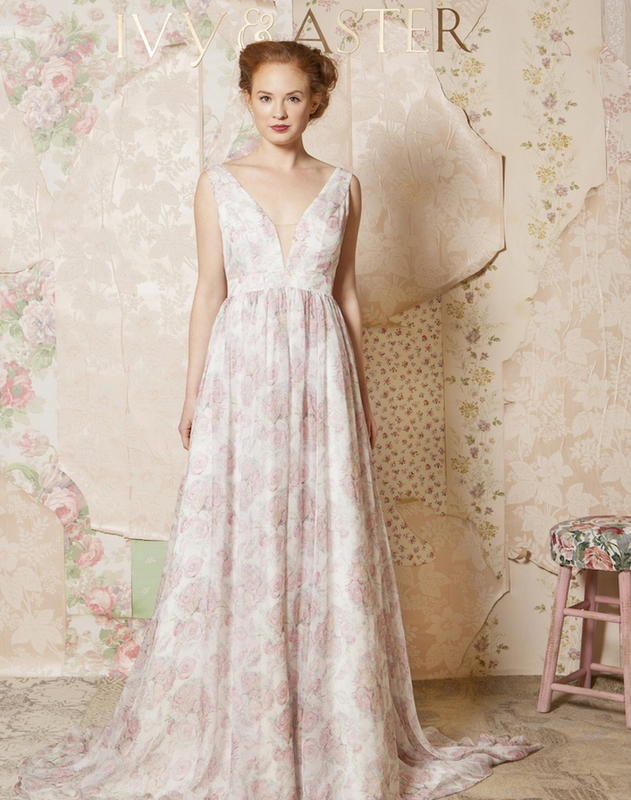 If you don't want to dress your bridesmaids in full-on floral print, consider adding floral details by choosing a dress (or adding custom details!) that features delicate crystals in a flower motif on dress straps, sashes, or belts. Although the MOB and MOG aren't part of your décor, their attire can complement your wedding theme! Floral-print dresses for either the mother of the groom or mother of the bride will add a fresh, summery feel to a wedding! Regardless of whether or not you included a floral print on your wedding invitations, adding the motif to your ceremony program is a great way to get guests ready for the event to come - like this program that doubles as a fan to keep guests cool. If you're using chair covers for your ceremony or reception, consider a design that incorporates floral appliqués. 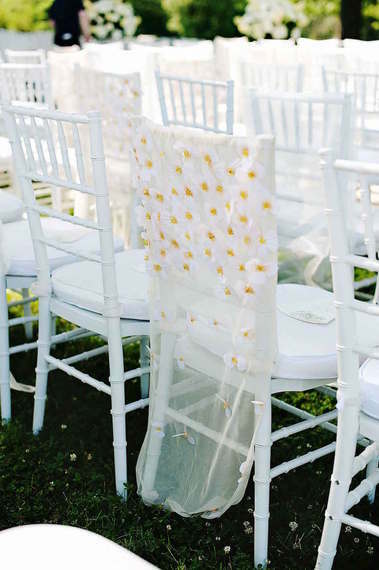 For a subtle and stylish look, alternate your chair designs by leaving some ceremony seating bare. Especially during summer wedding ceremonies, the sun can take your vow exchange from romantic and sweet to hot and sweaty. 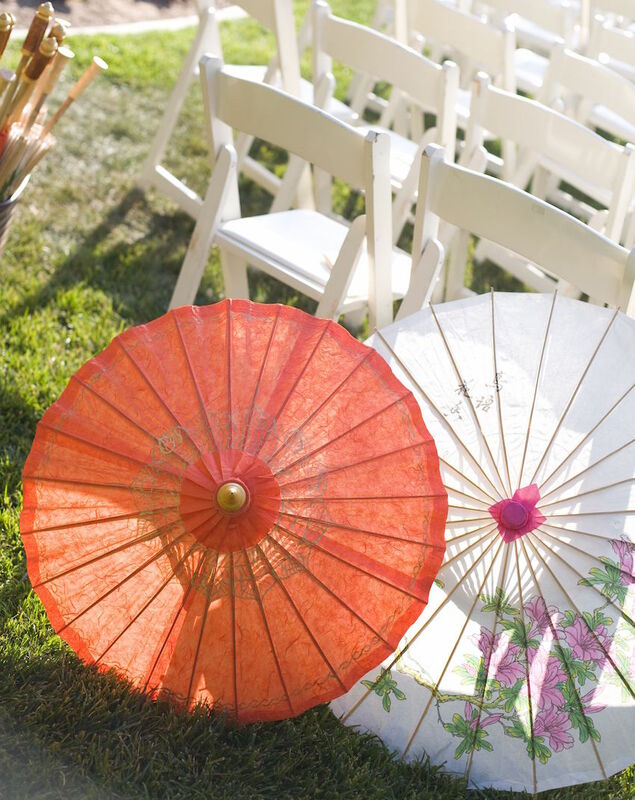 Keep guests cool during your vow exchange by offering parasols decorated with handpainted floral details. 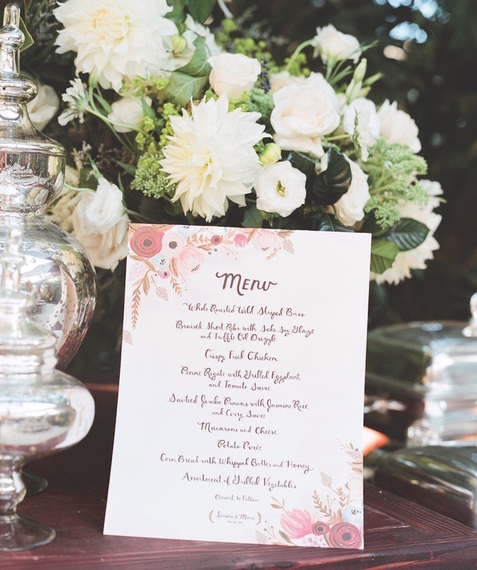 Since most weddings incorporate beautiful floral centerpieces on reception tables, take the flower trend one step further by decorating paper menu cards with fun floral prints. 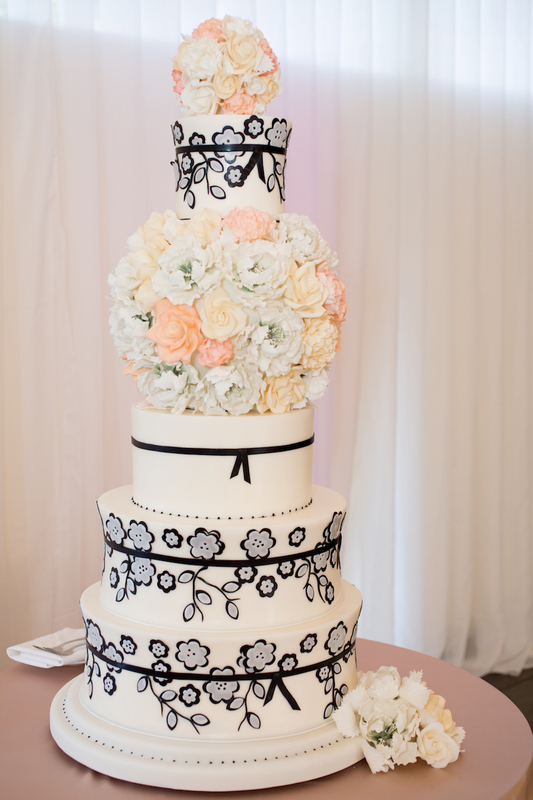 You can even have an artist handpaint your design to match the fresh flowers! 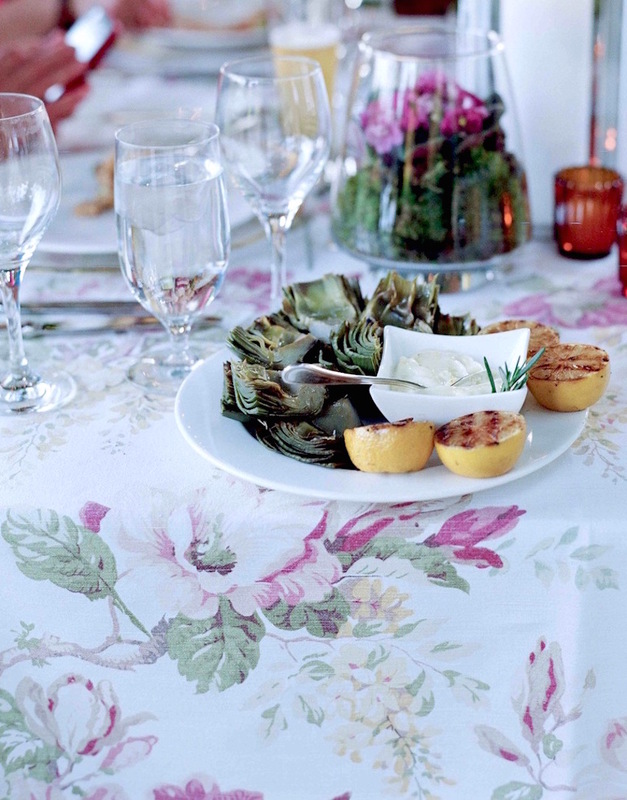 In lieu of solid-hued linens, incorporate a tablecloth in a floral print at your rehearsal dinner or wedding reception. 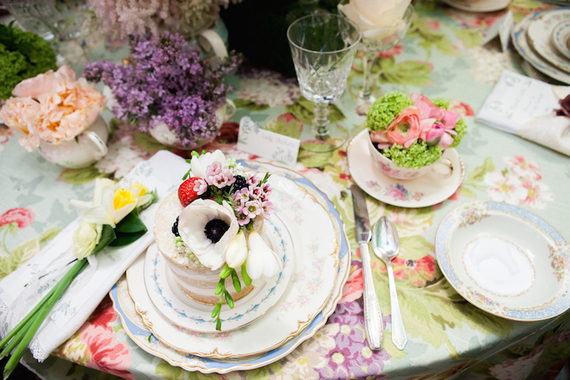 The unique design will set your event apart and give your celebration a vintage, feminine flair. There are tons of wedding cake designs to choose from. 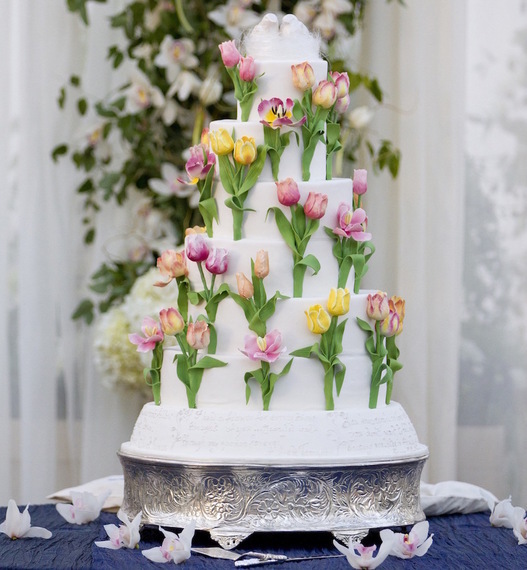 If you love floral prints, consider adding a floral design to your confection using fondant, frosting, or even sugar flowers! Choose vibrant colors or keep designs in all-white for a more classic look. 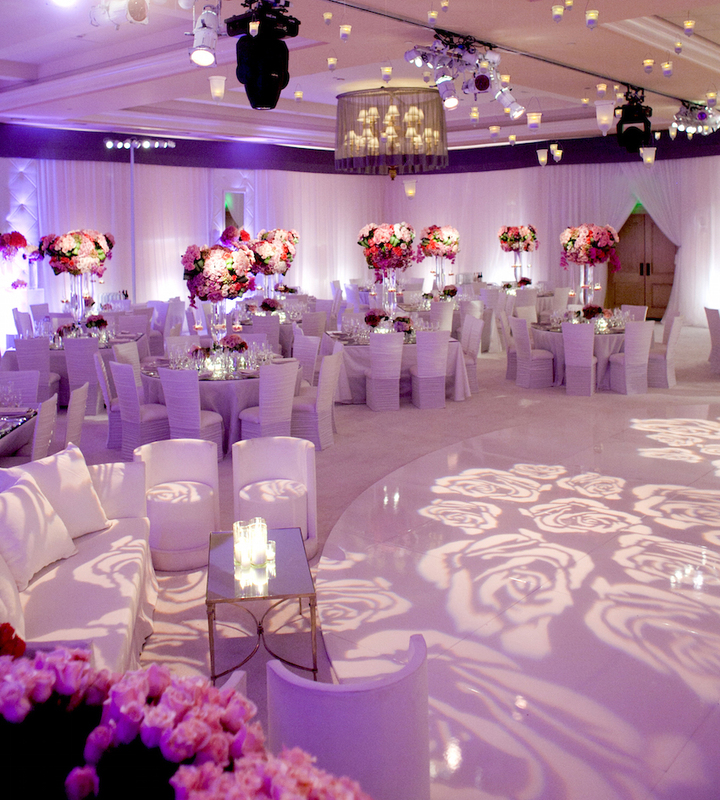 Gobo lighting makes it possible to project nearly any pattern on your dance floor, walls, or ceiling. 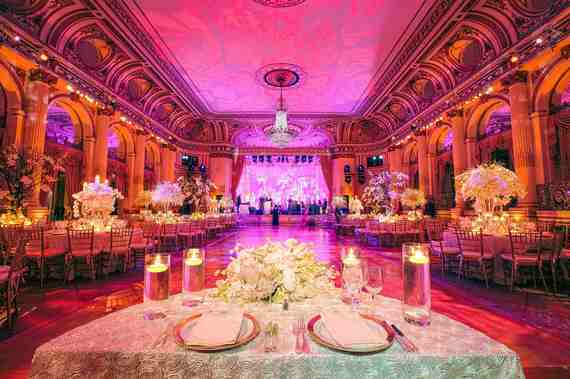 The impressive lighting design can easily turn an empty, bare space into an opulent, stylish ballroom. Have more suggestions? Let us know in the comments! For more wedding ideas, visit our weddings page to browse real weddings by style, location, and color palette, or browse thousands of images in our extensive inspiration galleries!